Let’s forget about the vuvuzela’s and concentrate on music instead of football for now. 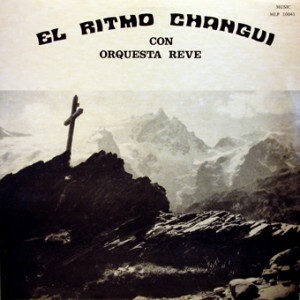 I first heard the music of Orquesta Revé through ‘La Explosion del Momento!’. following up his father but I am not sure if he is the one we hear on this album. about it, let us participate in that knowledge, thanks folks, listen. This entry was posted in Changüi, Cuba, Son by Moos. Bookmark the permalink. Thanks for this rare LP! Qué viva la Revé! Hi, when I click on “promo” I get a web page with a message that states in part: “The file you requested has been removed from MediaFire for a violation of our Terms of Service or our Acceptable Use Policy.” How is this possible with a vinyl LP? I really would like to have a copy of this music. Elio Revé is incredible! And the only reason I know this is because of other vinyl you have provided. I even found the CD you mention and purchased it. Thanks for your great blog! Wow, thanks for fixing that so quickly. Koffi Olomide and Orquesta Revé to start the new year–if this is an indication or a sign, then I’d have to say that 2012 is going to be a great year! Thanks again, Moos! Favor repostear, ya no sirve el enlace. Muy agradecido.<br /><br />Felicidades.